It’s Halloween season – the perfect time to take a road trip to a spooky national park for some frightful fun and witness a supernatural phenomenon. 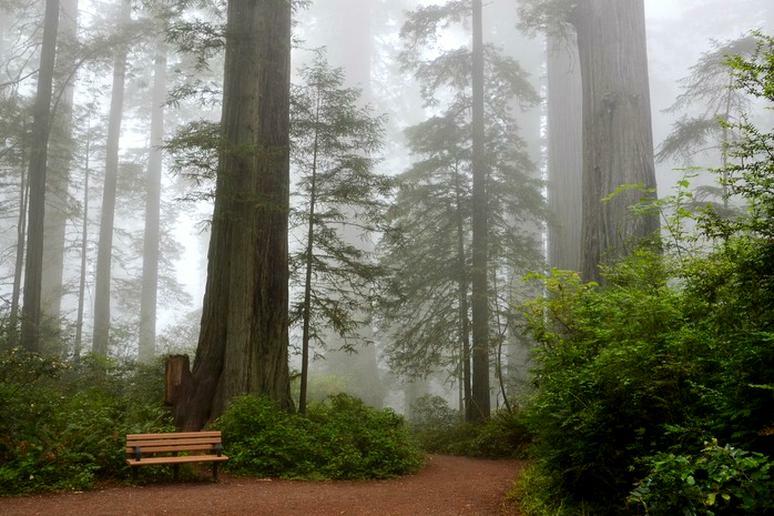 The experience is only enhanced by the fog drifting out of valleys, leafless trees in the forests and chill air that are typical of the fall. Luckily for the adventurer in you, you can combine a camping trip in the wilderness with an unnerving thrill that you will remember forever. The U.S. is home to several national parks where multiple guests, at different times, have reported eerie events. The Grand Canyon is magnificent during the day, but there’s something spooky about the isolated Arizona outback at night when it gets so quiet. Rumors that the park is full of ghosts have been circling around for years. The most famous is the one about “the Wandering Woman” who searches for her family and died in a hiking accident in the 1920s. There are also reports of another ghost who haunts Phantom Ranch, where he was buried after he was crushed by a bolder. 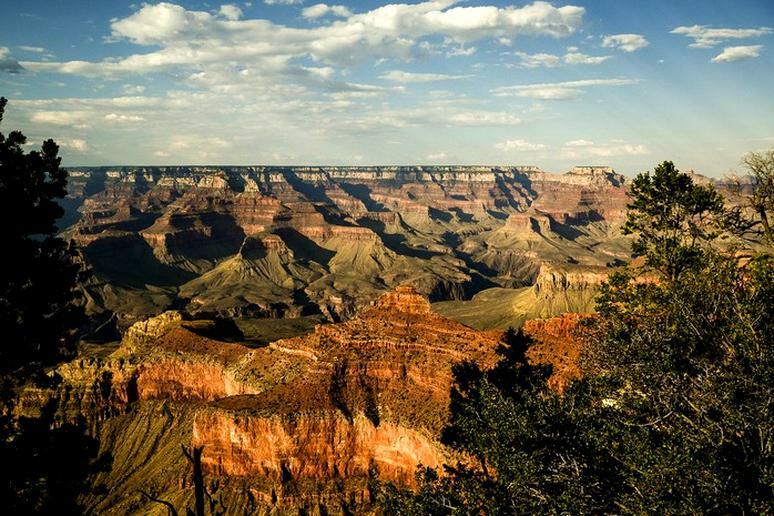 Also, Arizona is right next door to Nevada and Area 51 – you’re guaranteed to see some spooky occurrences. 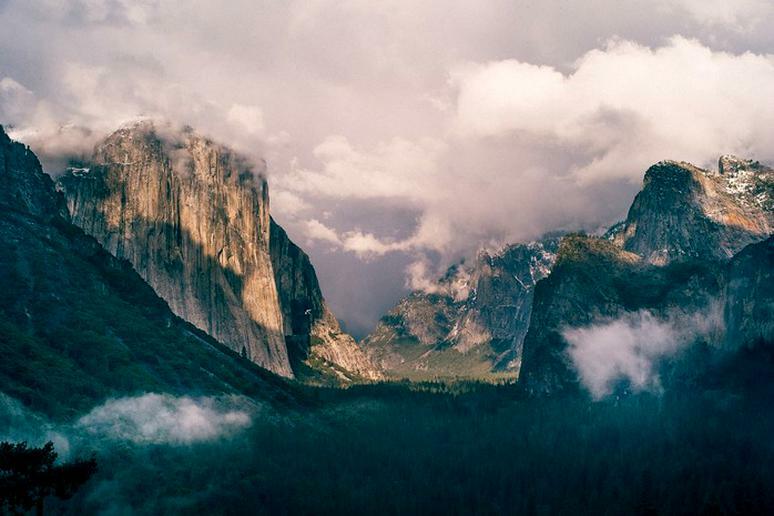 Yosemite is one of the most visited national parks in the country. Be careful if you’re going to the Ahwahnee Hotel, which is reportedly haunted by former operator Mary Curry Tresidder. Guests and staff say they have seen Mary floating up and down the halls, making sure everything is in order. There is also the “Crying Boy” from 1857. The legend is that he had drowned in Grouse Lake several years earlier and now calls out to people in hopes of alluring them into the lake. And watch out when you visit any of the park’s stunning waterfalls. The Miwok Indians believe they are haunted by an evil wind called Po-ho-no, which draws people to the edge and pushes them off. 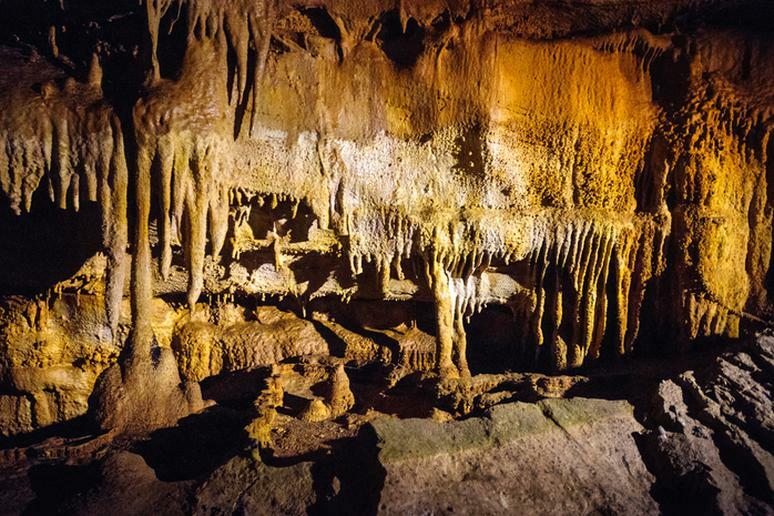 If you are looking for a truly spooky experience you should check out what is called “the most haunted natural wonder in the world.” Cavern tours are offered by lantern light for extra ambiance. Keep an eye out for any weird shadows, as the cave was used as a burial ground for local aboriginal tribes and cave explorers. The most famous one is the ghost of Stephen Bishop, a slave and explorer who is buried nearby. There was also a tuberculosis hospital in the 1800s, which is why some people say they hear coughs. 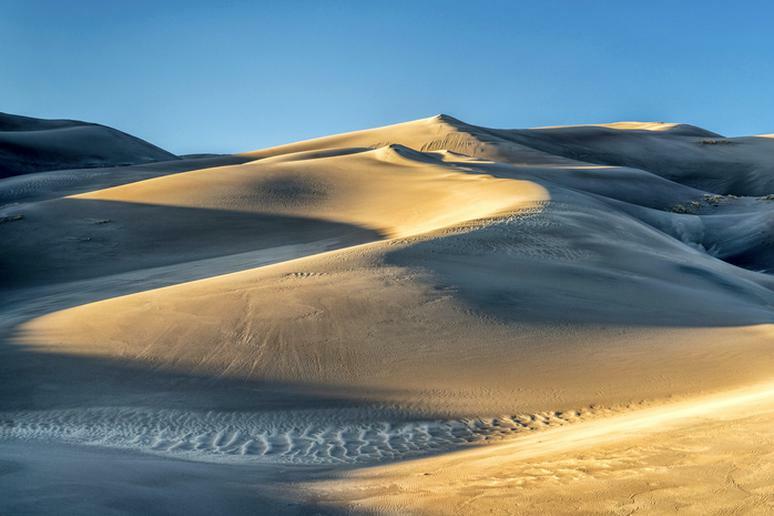 The park has North America’s tallest sand dunes. It’s the height of these dunes that make them the perfect place for some UFO sightings, and many have been reported, over 60 since 2000. The area made national headlines in the 1970s with a rash of cattle mutilations, which seem to continue. There is a UFO Watchtower where you can look to the sky for strange lights. Yellowstone has many ghost stories, but the most famous tale is that of a headless bride who walks down the stairs from the Crow’s Nest in the Old Faithful Inn. Avoid room number 2, if possible, as another woman ghost has appeared to visitors floating at the foot of the bed. Many other strange things have been reported at the Old Faithful Inn, including a fire extinguisher spinning on its own in the hallway. The woods in Maine can be a scary place. 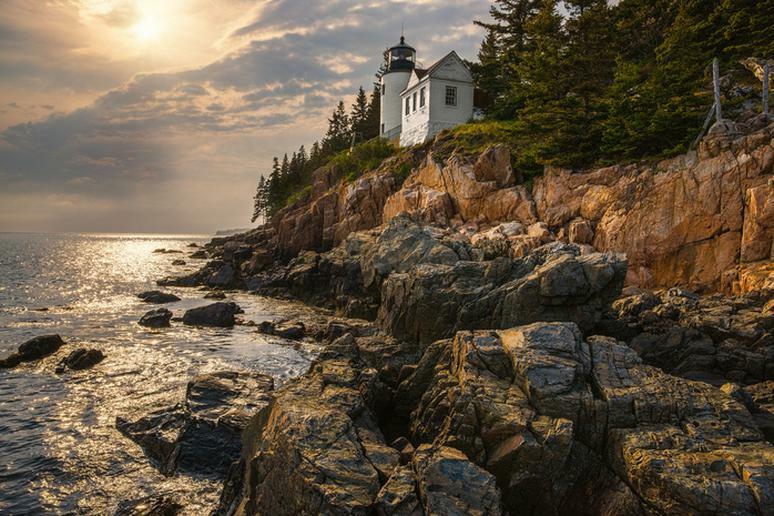 The Compass Harbor Nature Trail in Bar Harbor, for example, was once a trail walked by wealthy mansion owner, George Dorr, who died there when he was walking with his caretaker. It is he who supposedly continues to watch from the woods. Another haunted place is the Coach Stop Inn. Witnesses say the lights flicker, unexplained children’s voices are heard, objects have been moved, and doors will lock on guests. 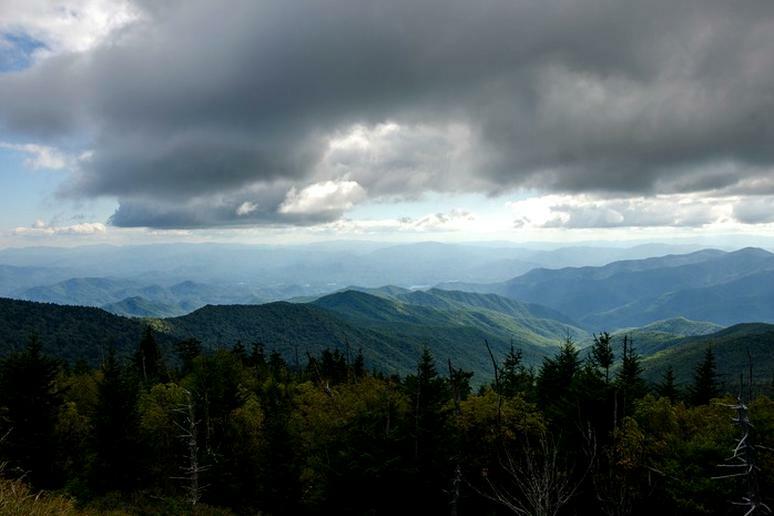 Many places in the Smokies are said to be haunted. The Greenbriar Restaurant is where a young woman named Lydia, who lived at the lodge and was jilted by her fiancé at the altar, hung herself. Diners say they see a sad figure on the staircase. Drive to the Roaring Fork Motor Trail to meet a local spirit – a beautiful young woman looking for a ride. Avoid the Norton Creek Trail because of Spearfinger, a witch that haunts Norton Creek and feasts on wayward children. But there is also a good ghost in the park. 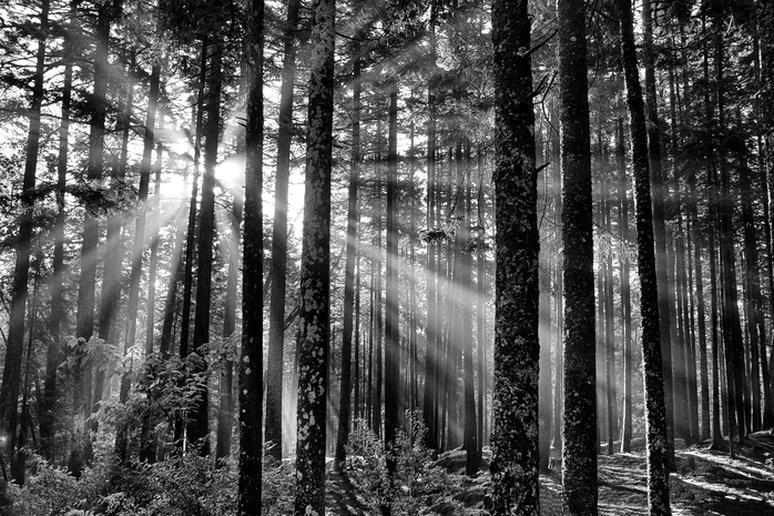 A man who died looking for his daughter now appears as light guiding hikers. People have reported being touched by something in their sleep. In a separate incident a young girl saw a man standing in the corner of her hotel room near the window, wearing a top hat as well as a suit and tie. Also, the chambers and passageways of Crystal Cave were once used as a camp for Native Americans and Civilian Conservation Corps workers in the 1940s. Some say their spirits still linger beneath the surface the park. You can go on a tour to explore the rooms and meet the ghosts. 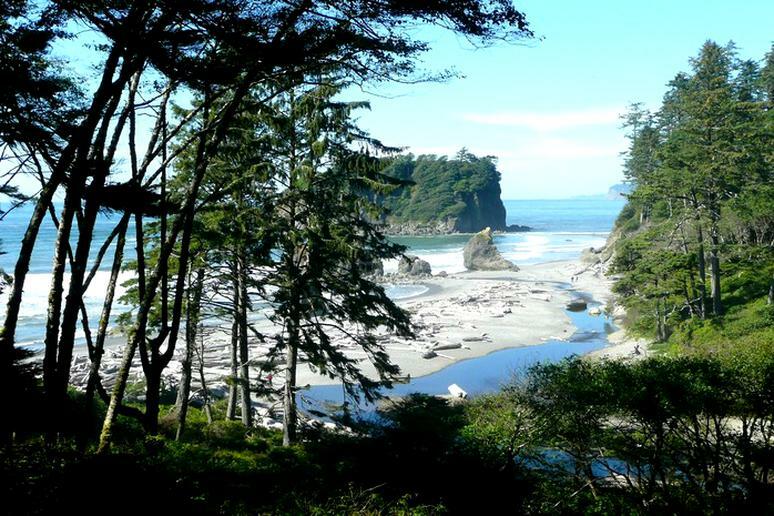 Avoid hiking along the Spruce Railroad Trail. The black depths of Lake Crescent are rumored to be home to the Lady of the Lake. Hallie Latham Illingworth was killed by her husband in 1937 and her decomposed body was discovered three years later. She supposedly now wanders the 8-mile trail loop for help. Think again before taking volcanic rocks from the Kilauea volcano. Tourists do it all the time, but many return the lava rocks because they, allegedly, bring bad luck from Pele, the goddess of fire, dance, lightning, volcanoes and violence. Every year many of the rocks are mailed back, addressed to “Queen Pele,” begging her to lift the curse on them. It is against the law to remove lava rock from a national park. 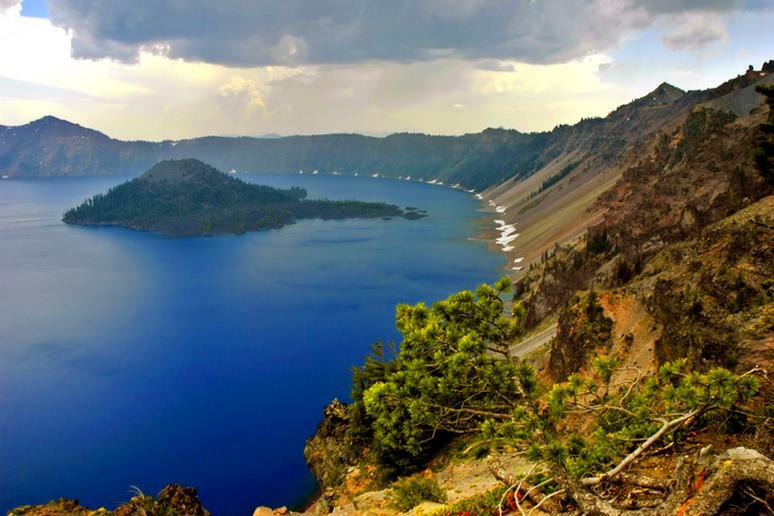 Just under 2,000 feet deep, Crater Lake is the clearest, cleanest, and deepest lake in the country. 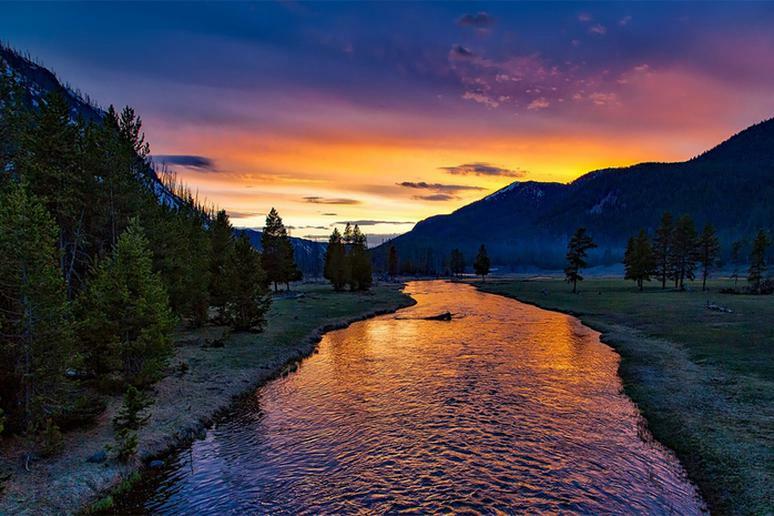 To the Klamath Indians, it was a sight too sacred for human eyes, according to National Parks Traveler. They believe two spirits named Llao and Skell fought gruesome battles there. Llao ripped Skell’s heart, and Skell reacted by mutilating Llao and throwing his body parts into the lake, which still holds his spirit. 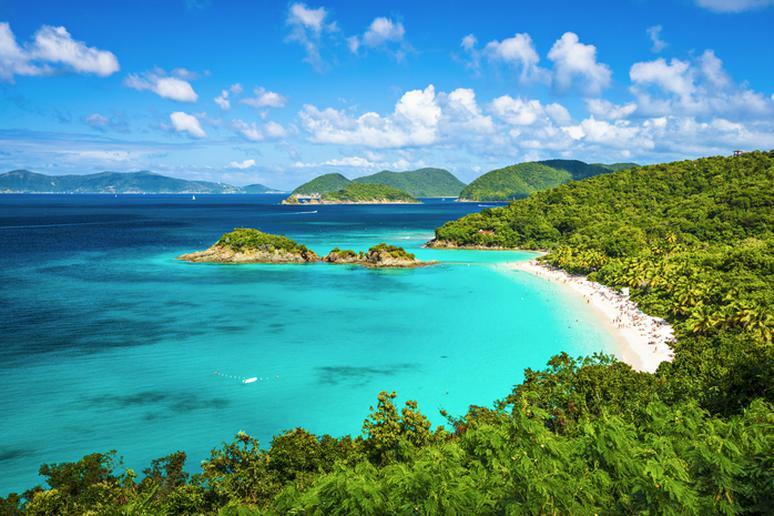 Along the world famous Trunk Bay, a ghostly spirit of a scuba diver has reportedly been seen. His scuba diving suit is all black. There has been six eye witnesses that have seen a scuba diver stick his head out of the water and then simply vanish. In the areas where there used to be sugar plantations ghostly figures of African slaves have been seen working the sugar cane crops. 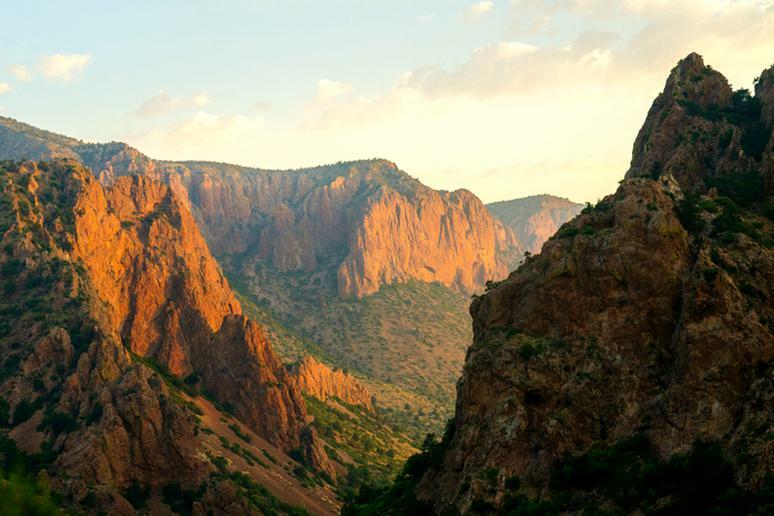 Sometimes people hear strange noises when camping in the Chisos (Ghosts) Mountains. Stories about human like figures moving in the desert at night are common. According to Texas Less Traveled, there are also legends of spirits that still wander the Big Bend’s ghost towns and mining operations, and an old tale about an Apache maiden who was run down by bandits and chose a drowning death in the Rio Grande over being raped. This supposedly happened at Canyon de Bruhas, or Witch's Canyon, and park guests often say they hear moaning sounds coming from the water.